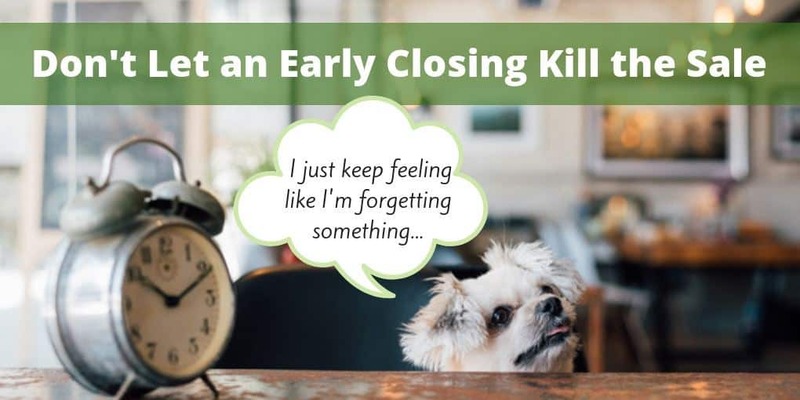 Is your home purchase transaction going to close earlier than expected? If so, it’s vitally important to make sure the insurance company knows about it. If not, you might find that on the closing day the lender’s underwriter red-flags the final review of signed documents because the closing date falls before the insurance coverage starts. Here’s a recent real-life example: The contract closing date language was appropriate (written as “on or before” a specific date, which in Washington state gives escrow the option to close early), but the loan processor didn’t catch the fact that the insurance policy was set to begin only on that specific date. The buyer signed all of his loan documents, and it wasn’t until the lender was doing its final review – on the morning of the closing day – that an underwriter caught the oversight, triggering a flurry of calls to the insurance company. Insurance companies can often make this change quickly, but for whatever reason, in this case even after a conference call with the buyer, the loan processor, and GEICO, it still took several hours, and by the time confirmation was sent to the lender it was past the wire cut-off time. Fortunately the escrow company made an exception for the late wire and the home still closed that day – but considering that this occurred on a Friday prior to a 3-day weekend (during which time cleaners and contractors were scheduled to do work at the property), it could have been a huge inconvenience! So… the next time you have a home sale that’s closing early, it’s a good to check with your buyer and escrow to make sure the insurance company is in the loop. You’ll probably find that it’s been taken care of already, but never assume! It’s an easy fix, and a huge (and potentially expensive) mess if it happens to be one of those rare instances when the ball really was dropped.